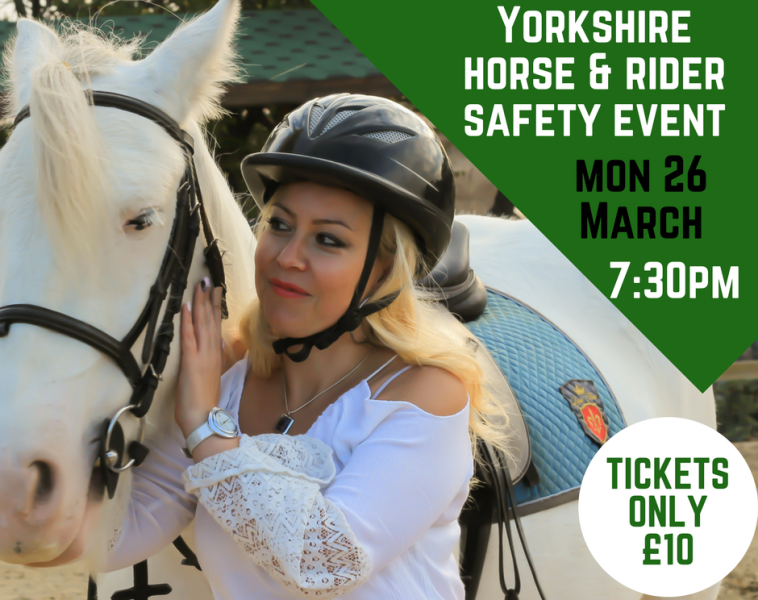 In recognition of this year’s National Equestrian Safety Day on Monday 26 March 2018, Lordington Park Agronomy is hosting the inaugural Yorkshire Horse & Rider Safety Event. Jonathan Holmes at Lordington Park Agronomy specialises in equine grassland management and can help ensure your horse gets all the essential nutrients it needs to prevent erratic, underperfoming or hyperactive behaviour by customising soil fertility and grass species through sward management plans. Cathryn Godfrey is an Associate Solicitor at Irwin Mitchell Solicitors with more than 15 years’ experience representing adults and children, who have sustained injury in a wide variety of situations including accidents on the road, in public places and at work; with a specialist focus on representing horse riders. Cathryn is also a trustee of the Mark Davies Injured Riders Fund for more than ten years. Heather Bennet is a former international Show Jumper who suffered a life changing fall in the ring. After several operations and continuos rehabilitation therapy she is back in the saddle and a Para Dressage rider who has successfully competed for Team GBR. James Cooling a qualified Bitting Consultant and an Advanced Consultant with #horsebitfit. Kim Beavon is a Health & Safety Expert working at NFL Mutual. Kathryn Sands is a saddle consultant and expert in equine physiotherapy and rehabilitation. She has worked for many years in the horse industry starting as a saddle consultant and is about to complete an intensive study to become an equi-pilates instructor so that she can help more riders have the correct posture with their horses. Melanie Watson is a leading horse trainer at Instinctive Horse Training – an easy and accurate way to create a harmonious and effective programme of muscle and topline development in your horse. Adrian Hall is the owner of a small quad based agricultural contracting firm specialising in paddock and grassland management. Doors open at 18:15. Refreshments self service – tea / coffee & cake. Prize raffle. All ticket sales will go to the The Mark Davies Injured Riders Fund. You can buy tickets via the link below. 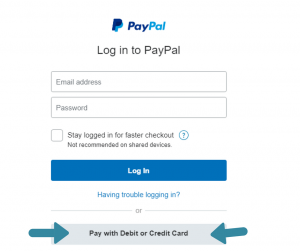 You can pay via PayPal or select ‘Pay by Debit or Credit Card’ option under the PayPal log-in box – you do not need a PayPal account for this option.